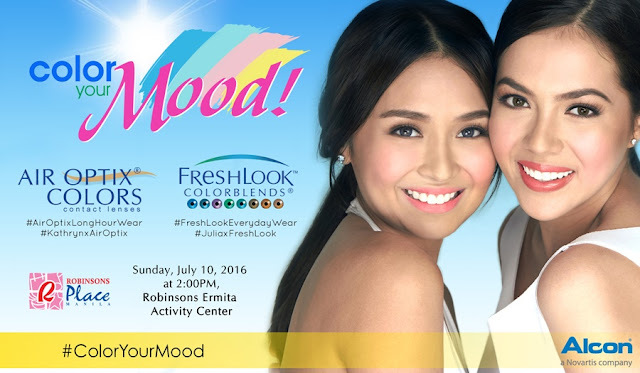 Freshlook and Air Optix Colors users can gain FREE access to the special event by showing an official receipt with a minimum purchase of 2 pairs of contact lenses dated July 4 to July 10 at the registration booth as early as 10:00 am on July 10. The first 400 to register will get to partake in activities such as free contact lens trials, photobooth, body art and have a photo opportunity with Kathryn and Julia. Freshlook and Air Optix Colors will also be giving away gifts and prizes during the big event. It's going to be a fun-filled event so I advise you to take advantage of this promo. The event will go LIVE on July 10 so subscribe to their page as early as today.